Mobile game “Path of War”by Envision Entertainment with COO and h_da acting professor Boris Kunkel wins DCP 2016. With his company Envision Entertainment Animation & Game acting professor Boris Kunkel wins the DCP 2016 in the category best mobile game. Their title “Path of War” was released on January 28, 2016 and published by Korean publisher Nexon. It is a massively multiplayer mobile strategy game available in the App Store for iPad and iPhone and on Google Play for Android devices. In addition a few h_da students were involved in the development of the game as interns. Envision Entertainment was founded in 2013 by a former EA Phenomic leadership team in Ingelheim, Germany. 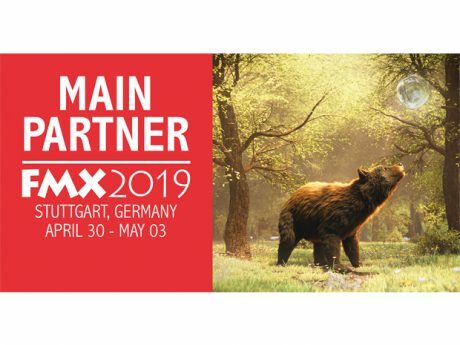 The company is specialized in online strategy games and responsible for games like the original Settlers, SpellForce, BattleForge, Lord of Ultima and C&C: Tiberium Alliances. 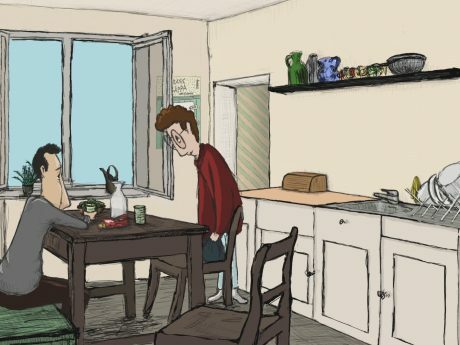 In the course of winning the DCP 2016 h_da student Marina Bade interviewed Envision COO Boris Kunkel regarding his thoughts on the events and how the Animation & Game students benefit from his experience. 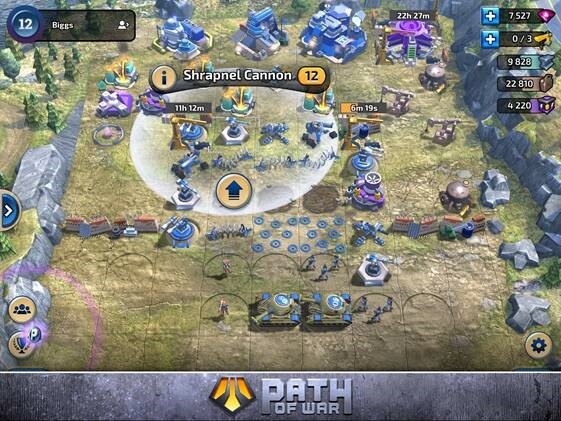 What is „Path of War” about – an outline? “Path of War” is a MMO strategy game available on mobile platforms (Android and iOS), whereas the core of the game is forming alliances on a realistically remodelled map of the USA to move from the anarchic west to Washington DC and find out what happened. You know the government forces are striking back as you have to fight enemies in combats, conquer new technologies and move forward with your allies. 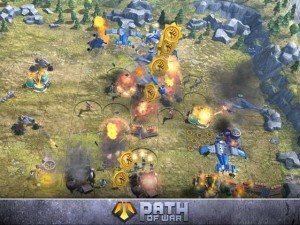 What exactly makes “Path of War” different from other games in this area? 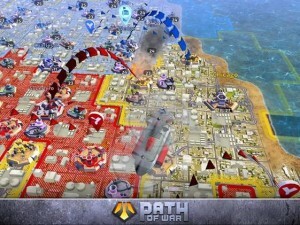 In “Path of War” the cooperative component plays an important role. Of course there are several games offering a coop-mode but in “Path of War” the player proceeds on a realistic map of the USA. On most of the comparable games there’s also often a map, but it plays a rather unimportant role as it doesn’t matter where the players are located. In “Path of War” this is strategically very relevant. I can move together with my alliances and conquer territories from other alliances and NPC-driven government forces . 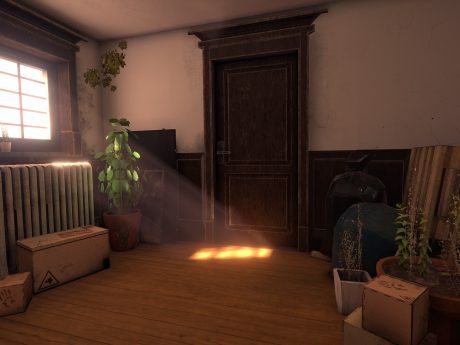 The player can cooperatively cross real territory which, you won’t find in other games of this genre. On the other hand I can compete and battle against other players and alliances. The communication between the players mainly takes place on our distinct chat system. How was the idea for the game developed? We always wanted to develop a combat-heavy MMO-strategy game for mobile platforms. Most of the games in this area are build-up-strategy games, whereas in the genre of combat MMO strategy there’s effectively nothing comparable. We wanted to get into this gap in the market especially as we are extremely experienced in this field and know the corresponding mechanics from our previous games. In contrast to other build-up-strategy games we wanted combat aspects and not the build-up parts. What does the awarding of the “Deutscher Computerspielpreis 2016” mean to you? Of course this is fantastic. On the one hand it is a big distinction for our employees as we all work together in this industry for quite a while. Envision Entertainment as an independent development studio exists for two and a half years and before we’ve been working at Electronic Arts for seven years. On the other hand it’s an incredible recognition of the work we’ve put into the game. We’ve also worked together with some interns from the Darmstadt University of Applied Sciences and you can spot their traces everywhere in the game. Especially I am very proud to say that students of the h_da have contributed to this project and therefore to an award-winning game. How do the experiences you gain in your everyday business help you support the h_da students? The main reason became an acting professor at the Darmstadt University of Applied Sciences is because I wanted to share my experiences with the students. The field of game development is still young but as I’m doing this for more than 25 years now I feel responsibility to share my best-practices. Of course everybody has to make his own experiences and mistakes but there’s certain foundations you should know if you want to work as a game developer. I want to distribute basic knowledge practically and theoretically. At least I always hope the students are getting some inputs they will gladly remember later in their career. Does your success support you at this point? Of course. It’s always a matter of acceptance. When someone stands in front of the students with only theoretical knowledge there’s still a difference to someone being involved in the everyday hands -on business. I think our students appreciate how much practical experience and expertise is shared at the Animation & Game course. All our professors work practically relevant and never lose their connection to the industry. It’s important that you can be sure there’s always someone addressable who knows what he or she is talking about.